Last night, I hopped a plane from Kampala to Mombasa, and now I’m blogging from my phone in the bush. It’s all part of my African adventure. 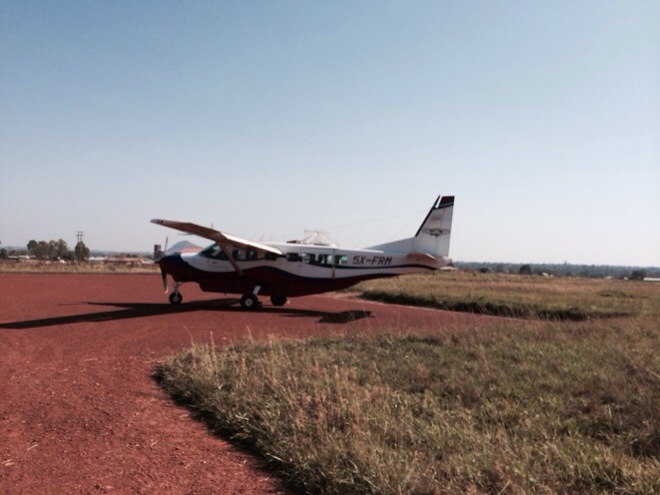 The private plane ride from Entebbe to Lira that threatened to remove every breath from my lungs during the flight. The day I met my sponsor child and finally understood the significance of such a seemingly simple choice. The beautiful, mile-long walk in the bush to fetch water. Watching the girl who refused to crack a smile finally dance like there’s no tomorrow. The man who stayed to take care of his family and the hope we saw in his eyes, in his house, and in his business. 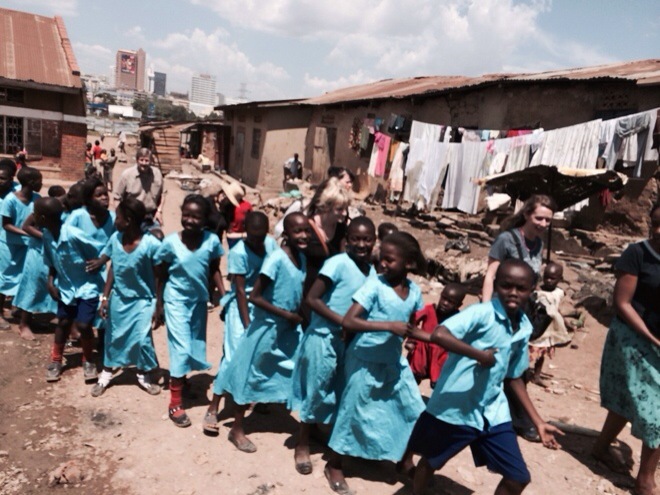 The time a 20-member brass band welcomed my friends and me to the worst slum in Uganda with our very own parade. The green rolling hills and the smells and colors of the country. The time I met a former child soldier. When I heard the most eloquent sermon ever delivered by a thirteen-year-old preacher. The moment I realized what this was all about and what my words were really worth. Thank you for your prayers, your comments, and your concerns. And thank you to those who sponsored a child. You’ve made more of a difference than you realize. My journey continues in Kenya. I’ll share more soon. In the meantime, check out the rest of the team’s posts and take an important step in changing the life of a child living in poverty. For those who have followed along, what was your favorite moment of the trip? Share in the comments. I think my favourite part of the trip was really every part where hope was playing a huge role. It particularly hit home for me when you reminded us how much words meant to people. The family that pulled out that simply written letter. Those that don’t write. It has me thinking about how someone like myself with barely enough money to survive and too sick to have energy to volunteer in person can reach out to make a difference with words. I have cried and smiled through yours posts and have hope for them and myself through it all. I look forward to the next leg of your journey and your well written posts. Jeff-Thank you posting your journey so very well. You inspire people to care. I get so busy during my journey’s that I forget how much it can mean and how God can use everything he shows us, especially abroad. I look forward to reading more. Awesome, Kim. I can’t wait to share! I’ve really enjoyed all your posts this week, Jeff. Thank you for going and thank you for sharing your heart throughout this amazing week. Thank you also for highlighting the importance our letters play in our sponsorship! Looking forward to your posts from Kenya! What a blessing to have had such an experience! It really was. I feel so fortunate. Thanks, Joy. That means a lot. I enjoyed the part where you asked them what they do for fun and they said that everything they do together was fun. It was simple and profound. And I am impressed that you manage to blog so often even from the bush. LOL. Looking forward to the rest of your trip. That is awesome, Debbie! IT’s a beautiful place. Jeff, I was struck by how people who have such little material wealth could have so much but people with great material wealth can have so little. Thanks for sharing your experiences and caring. You’re welcome, Ken. It was a pleasure. Thanks for reading. 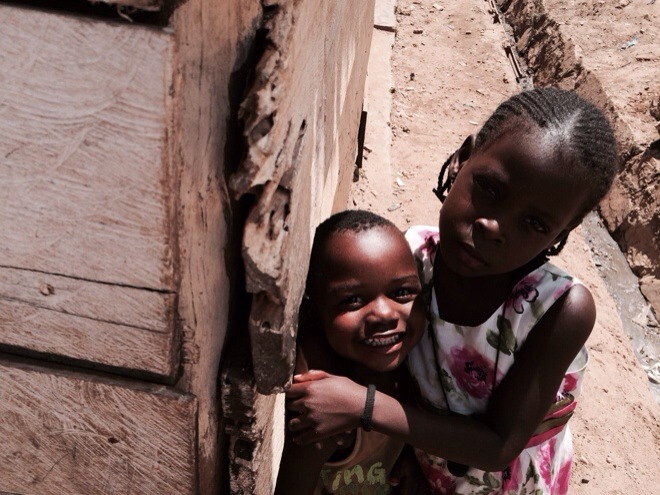 Jeff – thank you for sharing your Ugandan adventure with us. Amazing. Thank you for inspiring us to reflect on how we can share more of God’s love in the world. Bless you and the other bloggers. Your #4 made me smile! My favorite moment from the trip? Can’t even begin to pick just one!! All of you have shared your hearts this past week, I have loved following along with your posts! You’re going to Mombasa next? That’s where my family is from 🙂 Be sure to go to the coast and ride a Camel on the beach! Just wanted to say thank you for putting out the blogging challenge at the start of January. It motivated me to meet the challenge and write everyday on a consistent basis. Many people who have read my blogs have expressed appreciation and gratitude for my writing. I pass those sentiments on to you as you were the one that affected this effort. That is SO cool, Bonnie. Thanks for your generosity! Bonnie, thank you for joining us in sponsoring a child in Uganda! I hope you get to meet Sarah one day, too. Jeff, thank you for these updates. What a blessing they have been to read. Your stories have led my husband and I to also sponsor a wonderful child named Ntale this week. I am so looking forward to it. Beautiful, Jeff. I especially like #4 on your list of the girl dancing. We actually just had a Compassion representative visit our church this morning and he shared his story of growing up on the streets of Uganda. Amazing story of hope. I am a Ugandan living and working in Botswana. It gives me a lot of hope and joy to see someone like you caring about the children of my country. You are a blessing to the child you are sponsoring. Thank you very much for caring and opening a whole new world of love, opportunities and choices to these children. I was thrilled to read about my country. Thank you, Jane. I couldn’t help it. Your country is beautiful, as are her people. Simply amazing, Jeff! I’ve been following along and I have to say I really was inspired about the walk to get water and the sense of community you wrote about. Sometimes I think we’ve lost a bit of the true sense of community in the modern world. Thanks for sharing with us! You’re welcome, Bryan. I’d love to hear more of your perspective on lessons learned living as an expat in Germany. I have not had the opportunity to follow your posts. However I’m glad you are learning so much on your trip. I spent 4 years in Somalia and it changed me forever. I hope this trip will do the same for you. Enjoy Mombasa. Excited and proud of you buddy. My first trip to Africa transformed my view on business and gave it a much greater meaning. It sounds like the same has happened to you. Here’s to making more money and having more impact! Truly incredible, Jeff. As I’ve read your posts I’m reminded of the importance of simplicity. So thankful for your posts. Specifically, thank you for modelling what a life changing life looks like in a simple and impactful way. Everyone can make a difference and our lives our suppose to be lived on purpose for a purpose…and that purpose is always more than just about ourselves! Thank you! rubbercompound. Dat heet gebrekkige kwaliteit.